Super lightweight and easy to store, these Little Giant fiberglass stepladders are all around $20 to $40 off today in this Woot sale. 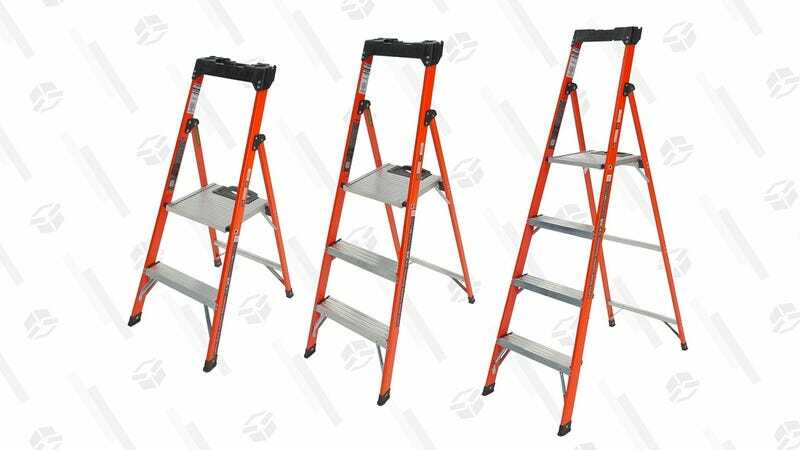 You can take your pick between the 4', 5' and 6' ladders, all with a large platform as the top step, so you can easily set down paint cans, tools, or whatever else. This sale will end at midnight or when the products sell out, so go ahead and head over to Woot before this sale is out of reach.